This production opened on December 5, 2015 and closed on December 20, 2015. A Christmas Carol 2015 revisits Charles Dickens’ holiday classic with an eye to making this 175-year-old icon fresh, relevant and possibly even a little surprising for a modern audience. While remaining faithful to the structure, characters and themes of the original, we have updated the language and details of the story to bring it forward into today’s world. 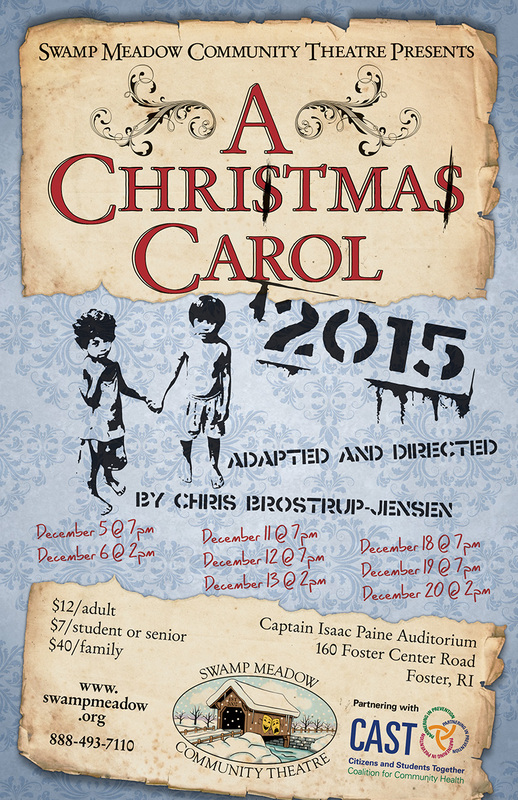 So, please, join us this December and enjoy a very old favorite made new again. It’s a Christmas miracle!